House Minority Leader Nancy Pelosi (D., Calif.) said Wednesday that Democrats have "won every fight" against Republicans, leaving out that Democrats have lost every special election to Republicans this year. 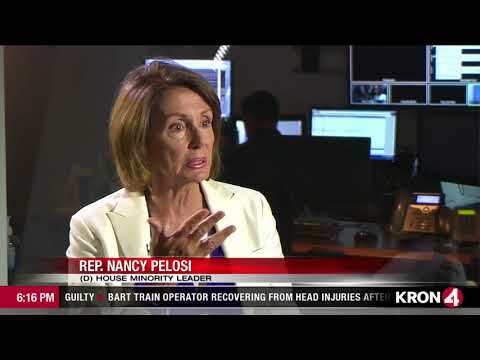 "The Republican Party is in such disarray right now, crisis after crisis; nonetheless the Democratic Party does not not seem to have been able to capitalize on the problems facing your other party," KRON reporter Pam Moore said during the exclusive interview. Pelosi was taken aback by Moore's suggestion that Democrats have not "capitalized" and asked her what she meant before responding to her question. "We have beaten them in appropriations," Pelosi said. "We've won every fight. The president's numbers are in the high 30s, which is for a new president remarkable to be so low. He is making his own case. The American people see for themselves that he does not share their values and that he does not—some who may have voted for him are now rethinking and others are just digging in their heels." Pelosi went on to discuss the efforts of Democrats trying to take back Congress in the 2018 midterm elections by touting their new economic message that was rolled out in late July. 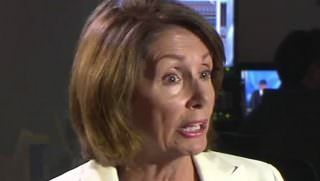 "We hope to get Republicans to join us in our Better Deal: Better Jobs, Better Pay, Better Future," Pelosi said. Democrats have blown through $35 million on special elections since President Donald Trump took office and do not have a single victory to show for it. Democrats dumped most of their money into Georgia's record-breaking special election. Despite this, Democratic candidate Jon Ossoff ended up losing the election by a wider margin than the Democratic candidate in South Carolina, whose election took place on the same day.